One of the most significant consumer trends in recent years is the desire for healthy foods and beverages. What started as a niche opportunity for food manufacturers to expand into low-fat, low-calorie, low-sodium items, has cascaded into a complete upheaval of the food chain. The 2017 Consumer Trends Report states that 40 percent of consumers order healthy items when dining out, which is up from 35 percent in 2014. Also, 33 percent of diners say health is very important in their decision of which restaurant to visit. Restaurants and grocery stores are transforming operations to offer foods that are: Natural, organic, fresh, wholesome, local, non-GMO, unprocessed and with clean labels. As part of the healthy foods revolution, he said, “Today’s consumers are demanding transparency from restaurants” – they want to know what they’re eating. Food sourcing is important, as they prefer local, sustainably-sourced foods. Also, diners are no longer accepting preservatives, food dyes, etc. Technomic reports 47 percent of consumers are more concerned about additives than in 2014. Pawlak also said there’s a changing of the guard with American consumers – the Millennials are giving way to Generation Z, who are ages 11-23, 47 percent multicultural and comprise 20 percent of the population. The Gen Z crowd desire low-cost food, fast service and “craveable” or indulgent meals. Technomic research indicates about 35 percent of Gen Z want nutritious foods at restaurants as compared to 55 percent of Millennials. He said they do not have much money, but are highly influential. As a result, Pawlak stated that sales at traditional sit-down restaurants are starting to decline. The other trends changing the restaurant landscape are the growth in foodservice delivery and the surge in meal kits, which allow consumers to cook more easily at home. Pawlak was optimistic about the potential for the dairy industry to thrive in the “new normalcy” for restaurants. First, he said pizza is at the forefront of the trends. Fast Casual pizza companies are booming, capitalizing on their winning formula of customization, high quality ingredients and fast service. 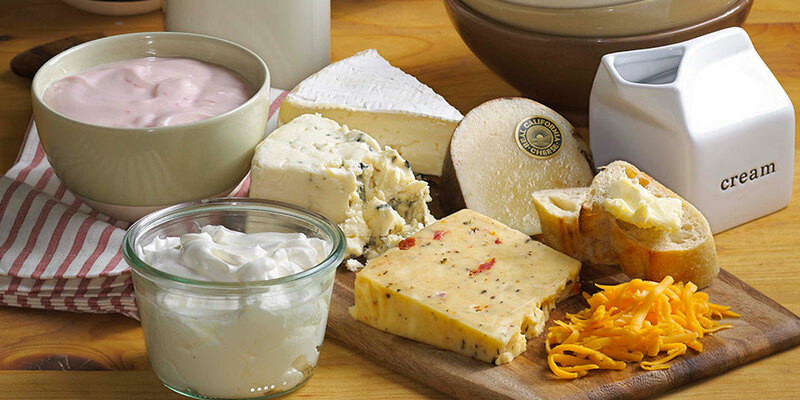 The bonus for the dairy industry is they offer a lot of cheese options for customers. The indulging lifestyle of Gen Z includes pizza two or three times a week. He also emphasized that dairy is a go-to food group within the healthy, clean label food trend. Consumers are seeking out wholesome, fresh, quality meals; consequently, yogurt, milk, cheese, etc. are appearing all over restaurant menus. The high protein levels in dairy are also attracting consumers, especially in the snacking category. Healthy snacking has become a trendy, all-day favorite for consumers who are reaching for cheeses and yogurts to provide energy boosts. Finally, Pawlak said research shows consumers will continue to indulge. He said milkshakes are very popular at fast food restaurants as consumers strike a balance with their cravings by turning to salads for their next meal.